Vanassa’s Bistro 2 in Downtown Walnut Creek had another good showing for its popular becoming Wine Wednesday. Bottles of wine-Champagne are half off all day. On Wednesdays at Vanessa’s Bistro 2 all the bottles of wine and sparkling are half priced all day. This is a great opportunity to experience the best wine list in Walnut Creek at a great discount. Flowers Vineyard and Winery has been producing top end wines since the 90’s. 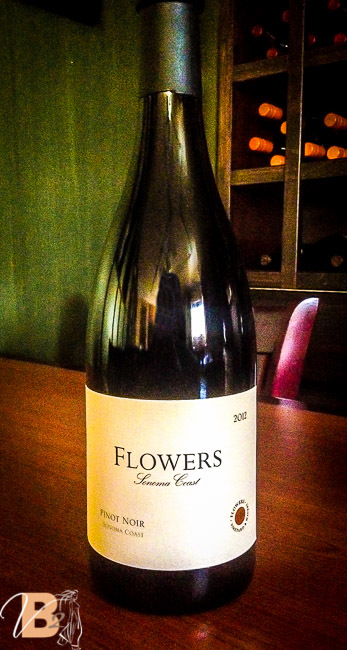 This here Pinot Noir is one of 2 varietals grown by FLOWERS and is a sure 90 point wine. Join us Wednesdays for great wines at unbeatable prices! Every Wednesday at Vanessa’s Bistro 2 bottles of wine and sparkling are all half priced. Our wine list offers luscious red wines everybody can enjoy along with a slew of white wines that will pair great with our Vietnamese Tapas. This photo embodies what Wine Wednesday at Vanessa’s Bistro 2 is all about. Gathering with friends midweek to unwind and enjoy the little things. 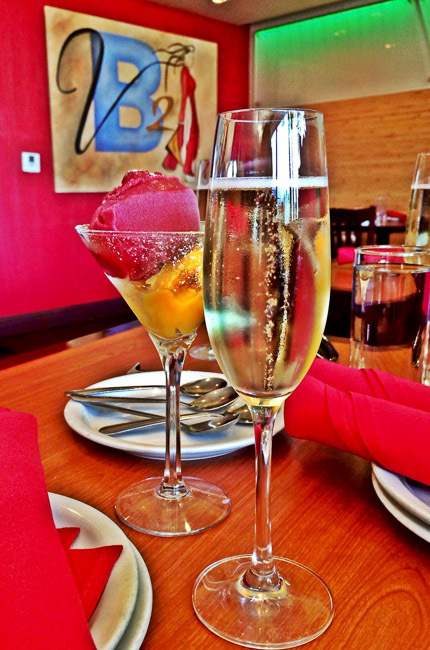 Pictured is Mango and Raspberry Sorbetto with Gloria Ferrer Blanc De Blanc. Come out to Vanessa’s Bistro 2 on Wednesdays and enjoy any bottle on our wine list half priced. It is a great day to try something new or have one of your favorites priced half off. We believe Vanessa’s Bistro 2 has the best wine list in Walnut Creek to go along with the best atmosphere for any occasion. 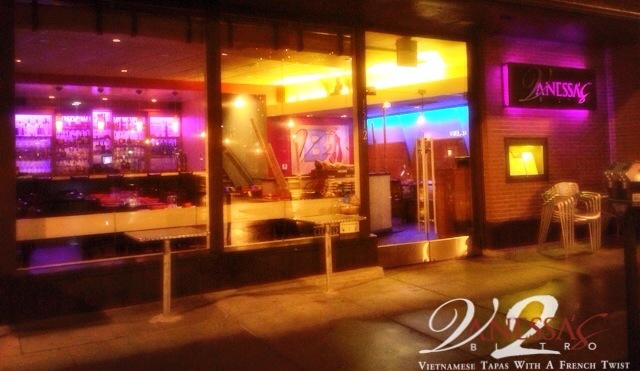 This is the perfect place for date night because our vietnamese tapas with a french twist are affordable and delicious and go great with half priced wine. 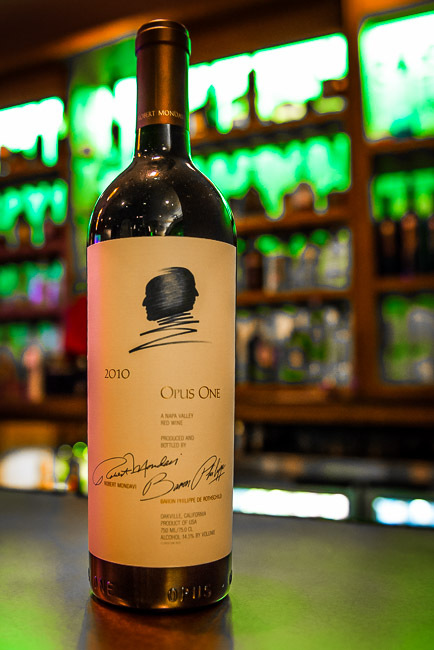 Opus One is a Napa Valley classic and on Wednesdays its price is unbeatable! This is truly a great opportunity to experience a phenomenal red wine!